duplicate files detection and removal, high-speed file synchronization and data migration, disk change monitoring, rule-based file organizing, data wiping and much more. DiskBoss is a highly extendable and customizable data management solution allowing one to design custom file classification plugins and purpose-built file management operations using an open XML-Based format. Custom disk space analysis and file management operations may be integrated into the product, executed periodically at specific time intervals, performed as conditional actions in other operations or automatically triggered by one or more changes in a disk or directory. All file management operations with DiskBoss are integrated in a centralized and easy-to-use GUI application with a built-in file navigator allowing one to execute any required operation in a single mouse click. Frequently used file management operations may be pre-configured as user-defined commands and executed using the GUI application or direct desktop shortcuts. In addition, IT administrators are provided with extensive database integration capabilities allowing one to submit disk space analysis, file classification, duplicate files detection and file search reports into an SQL database. Reports from multiple servers and desktop computers may be submitted to a centralized SQL database allowing one to display charts showing the used disk space, file categories and duplicate files per user or per host and providing an in-depth visibility into how disk space is used, what types of files are stored and how much space is wasted on duplicate files across the entire enterprise. Finally, IT professionals and enterprises are provided with DiskBoss Server – a server-based product version, which runs in the background as a service and is capable of executing all disk space analysis and file management operations in a fully automatic and unattended mode. 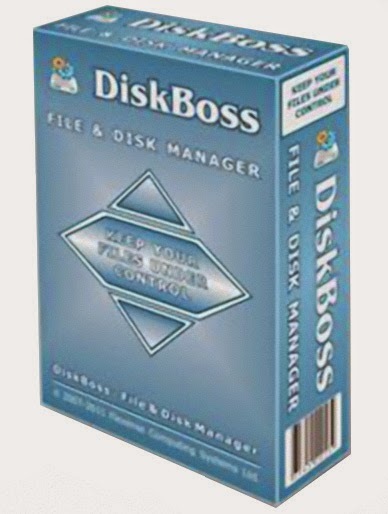 DiskBoss Server can be managed and configured locally or through the network using a free network client GUI application or the DiskBoss command line utility, which provides the user with the ability to integrate DiskBoss’ features and capabilities into other products and solutions. OS: Windows XP, Server 2003, Vista, Server 2008, Windows 7, Server 2012, Windows 8, Windows 8.1 (32-bit & 64-bit).